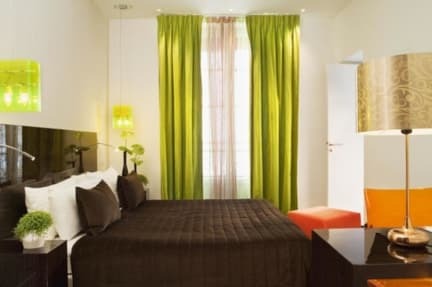 Hotel Le Rocroy *** Gare du Nord i Paris, Frankrike : Boka nu! Le Rocroy is the perfect choice for business trips (thanks to our Espaces Rocroy, business center, with meeting room, projector, screen etc...), weekend getaways, or family vacations. All rooms have been recently renovated with the style and comfort expected from a quality 3-Star hotel. 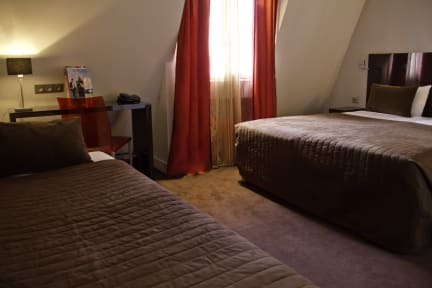 Our locally owned and operated property boasts fifty-four recently renovated rooms that reflect Parisian style and deliver a comfortable refuge from a hectic day of sight seeing or business meetings.